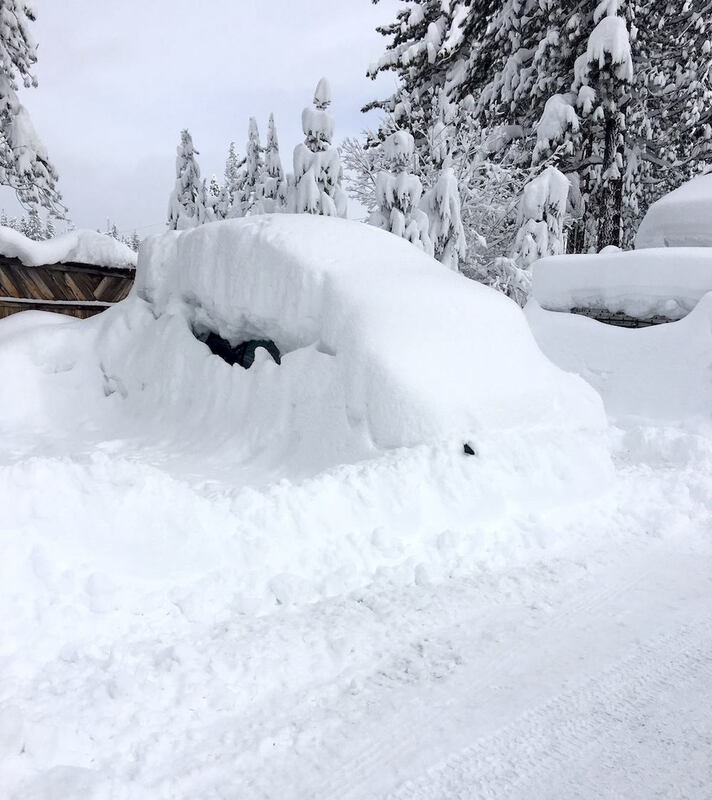 This was the scene in Truckee on Monday, Jan. 23, after another major winter storm dumped feet of snow across the Sierra Nevada. TRUCKEE, Calif. — After a break in wintry weather that pounded the Tahoe-Truckee region with more than 20 feet of snow in January, a new system could bring an additional 2 to 3 feet at upper elevations by the weekend — and also, for lower levels, the potential for rain. According to the National Weather Service in Reno, after a mild start to the week, weather patterns will change on Thursday as a Pacific storm moves into the region. “Forecaster confidence is high that we will see a weak to moderate atmospheric river storm Thursday and Friday, with generally high snow levels and moderate to heavy precipitation amounts, especially in the Sierra,” according to a long-term forecast discussion for the Tahoe-Truckee region. According to NWS, snow levels will start out around 6,000 feet Thursday morning, then rise to near 7,000-7,500 feet by Thursday afternoon/evening — meaning rain is likely for a period of time at lake level. A cold front is then expected to move through Thursday night, with snow levels coming back to 6,000-6,500 feet by Friday morning. In all, up to 2-3 feet of snow is possible for elevations above 7,000 feet. Below 7,000 feet, “snow amounts will be more limited to less than 6 inches due to the warming and change-over to rain,” meteorologists said. “No flooding is expected with mainstem rivers at this time, although rises on rivers and creeks is likely,” according to NWS. Look for further details as the forecast solidifies later this week at SierraSun.com.